We all have encountered bad health at some point in time among our family members or close ones. And most of the times these are outcome of health negligence on the pretext of ignorance. We clearly don't practice "prevention is better than cure". Nutritionists and doctors, have always advised intake of balanced meals to compensate the loss of vitamins, minerals and other necessary ingredients required by the body. 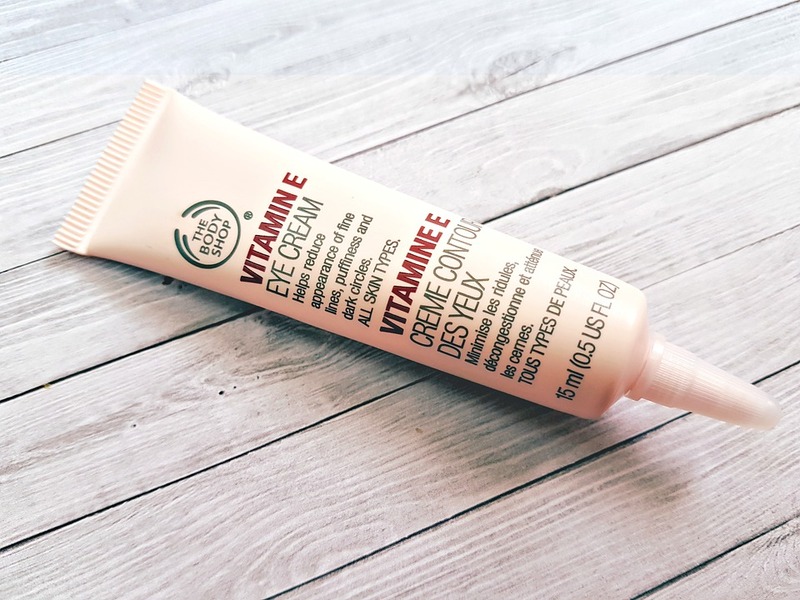 While calcium, protein and vitamin C or D are highly recommended by experts, there lies the lesser known but equally important Vitamin E.
Until I started using under eye cream enriched with Vitamin E, I admit my ignorance about the same. 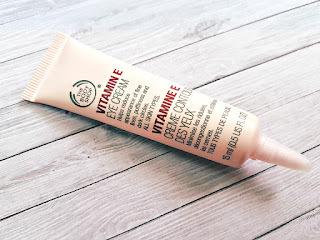 The eye cream helped to reduce puffiness and fine lines around my eyes. It was then I researched about the super benefits of Vitamin E.
Calcium or protein do not work in isolation. 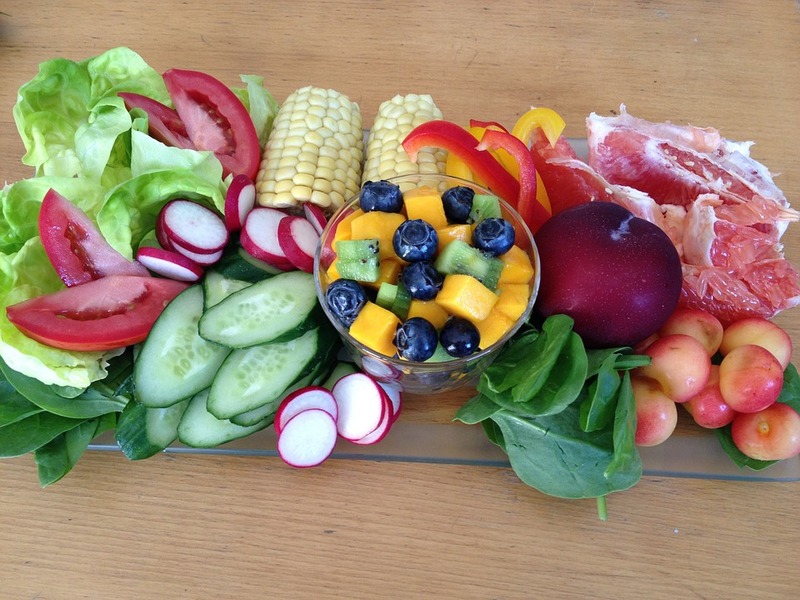 They essentially need vitamins and minerals to combine and together they provide goodness to human body. Hence why no food product is taken for a standalone benefit of particular vitamin/mineral. Vitamin E too stands in the same category. It is said to work the best with Vitamin C, as they support each other's antioxidant function and both control immune cell function. Vitamin E is extremely beneficial for hair, skin and eye health. The reason why anti-aging products are high on Vitamin E is that it disables the production of free radicals in tissues and protects cell membranes from oxidative damage. When applied to the skin topically, vitamin E can reduce or aging in skin which is usually caused by UV light exposure (Sun) or suppression of immune system. Vitamin E helps increase the production of beneficial compounds in skin. 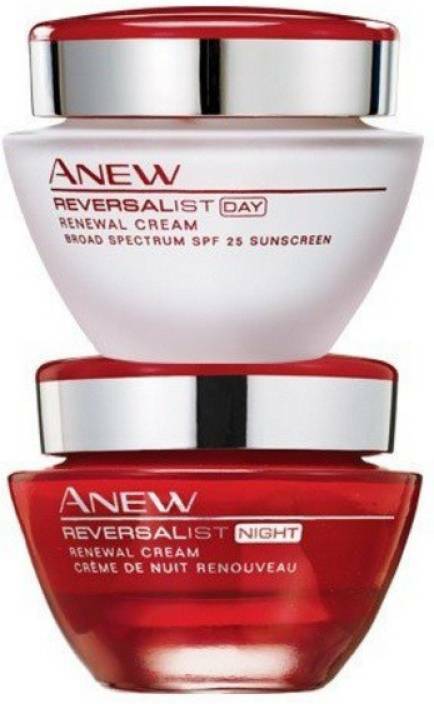 It also speeds up the skin’s natural repair systems and controls further damage. The antioxidant vitamin is proved to substantially reverse discoloration and wrinkles of skin. To be more precise, Vitamin E helps to regulate retinol levels, which is essential for healthy skin. It is also key for healthy immune system and healthy eyes. Hence I choose skin creams with retinol. My mum loves Anew Reversalist range. The right amount of retinol and patented technology helped smoothe out her wrinkles and fine lines. Human body needs Vitamin E to boost immunity. It aids in fighting the invasion of bacteria and viruses. Apart from the above uses, Vitamin E is also used to treat diseases of heart and blood vessels like heart attack, chest pain, high blood pressure and hardening of arteries. The fat soluble vitamin is beneficial in preventing cancer, particularly lung and oral cancer (for smokers) , gastric, prostate, and pancreatic cancer. At times Vitamin E is used to lessen the harmful side effects of medical treatments like dialysis (kidney damage) or radiation (cancer). It is also used to reduce the side effects of medicines causing hair loss or lung damage. Deficiency of Vitamin E: may cause degeneration of retina causing blindness, muscle weakness and impairment of immune response. It can also cause your hair to dry, hair fall leading to baldness, weak muscles, a very slow tissue healing, ataxia (identified with loss of full control of bodily movements) and leg cramps ( which I at times experience). Excess of everything is bad, so is Vitamin E. High doses of Vitamin E causes oxidation which damages cells and may increase the risk of cancer or mortality. Long term high doses of the vitamin leads to nausea, diarrhea or vision deficiencies. The daily recommended dietary allowance of Vitamin E for adults is 15 mg (22.4 International Units) which we can get from variety of sources. 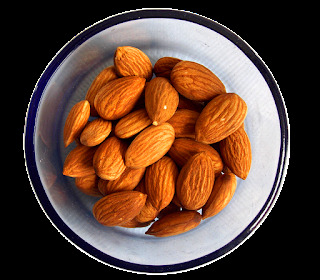 No wonder why almonds enriched hair oils promise strong and healthy hair. 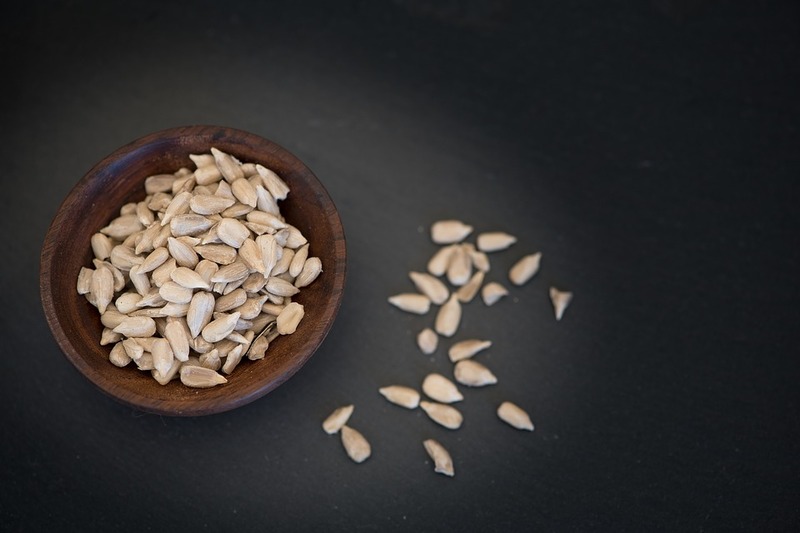 Another high source of Vitamin E is sunflower seeds, 100 g of which contain 35.17 mg of the vitamin. Easily available in the market, add these seeds to your salad, sprouts, sandwich, upma or in your diet mixtures. Available the whole year, we all love to have crunchy peanuts. 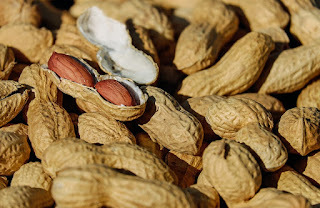 A reservoir of healthy fat and protein, Vitamin E in peanuts constitute 20% of the nutrition value. 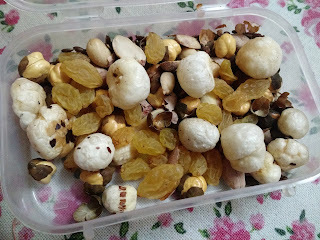 These little nuts are good for heart health, excellent source of dietary fiber and folate. Talking about other healthy nuts, walnuts comes to our mind essentially because of high presence of manganese, protein, carbs and omega-6. 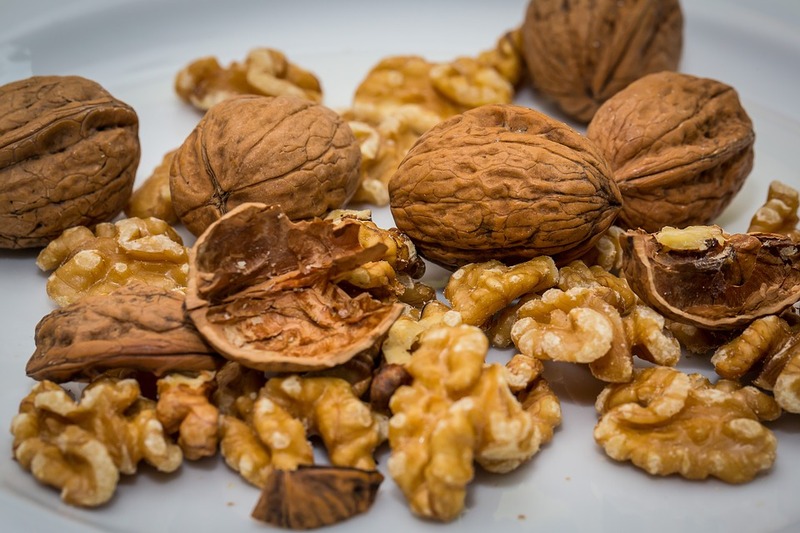 Not only these, walnuts are a great source of Vitamin E too! Research proves, walnuts, compared to other nuts, contain high levels of Vitamin E called gamma-tocopherol which prevent heart diseases, cataract, Parkinson's disease and glaucoma. Among all, my favorite has been raisins. While these tiny dry fruits are excellent source of calcium, instant energy and iron, 100 g of raisins also provide 0.12 mg of Vitamin E. Though this is roughly 1% of all nutrition content, it combines with iron for inhibition of blood clot. My bowl of good health contains raisins with flax seeds, peanuts, roasted black grams and fox nuts, which is my on-the-go snack of evening or between meals. Come winters and the market is flooded with leafy greens. Spinach tops the list. Not only spinach is high on iron, vitamin A, K, and calcium but also has traces of Vitamin E, dietary fiber and manganese. Apart from making paalak paneer, I add blanched spinach to all possible dishes. 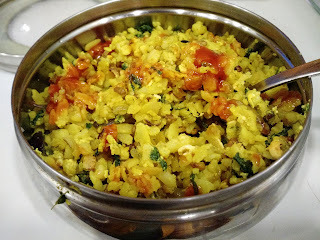 For example blanched spinach to poha or egg besan chilla. (100 g serving of eggs have 7% vitamin E). For both these dishes, I blanch about a cup of spinach leaves and add to the pan while cooking. Rich in Vitamin C and E, tomatoes not only add tanginess to food but has immense health value. Apart from cooking, you can use tomato directly on skin. The seedy pulp which I do not use in cooking, I rub the same on my face and neck, let it dry for 15 minutes and wash off with cold water. Your skin absorbs the goodness of tomato directly giving a smooth texture and radiance to skin. It has helped me get a glow and rid of acne marks as well. 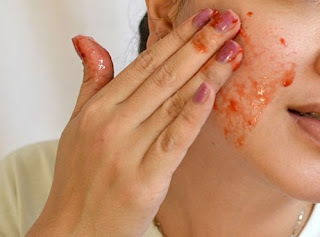 I do this quick tomato facial before party makeup or when I have no time to visit parlor. Just takes 15 minutes and I am done! Yay. The source of Vitamin E's list goes on endless with things like Kiwi, Avocado, sunflower oil, canola oil, hazelnuts, turnip, sesame oil and many more. Apart from the natural sources mentioned above, you can consume vitamin E supplements too. Evion is a pioneer brand for Vitamin E products. With a combination of Vitamin E with aloe vera, #Envion is India's number one selling cream. The brand also supplies supplements in form of capsules and tablets. To know more do visit http://www.evion.co.in/. 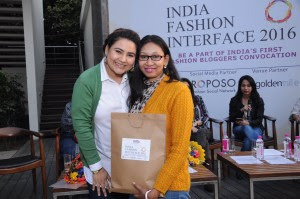 This post is written for the #IndiBlogger campaign #TheABCofVitaminE by #Evion. 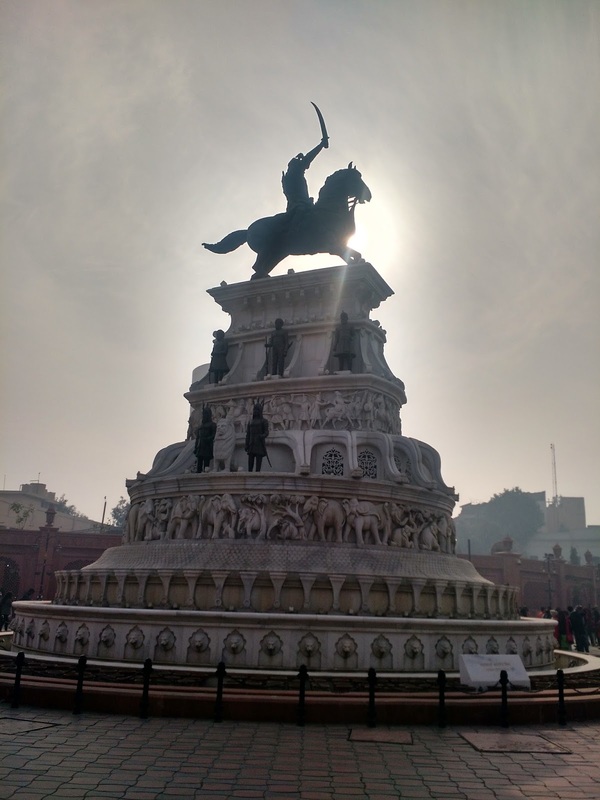 When husband was fretting over how to spend time over the long new year weekend (30 Dec’17 to 1 Jan’18), we made an impromptu trip for Amritsar. 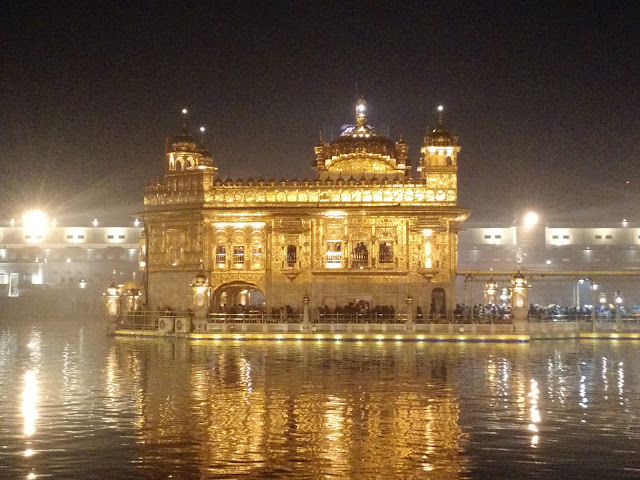 Since Gurgaon to Amritsar is more than 480 km and keeping the dense fog in mind, I was apprehensive about a road trip. But who argues with husband when he is so adamant to drive! 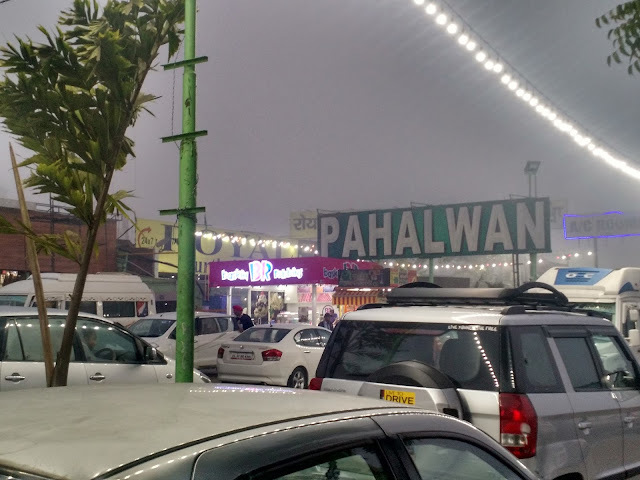 We left from Gurgaon at 5am and took our first break at Pehalwan Dhaba, Murthal for breakfast. 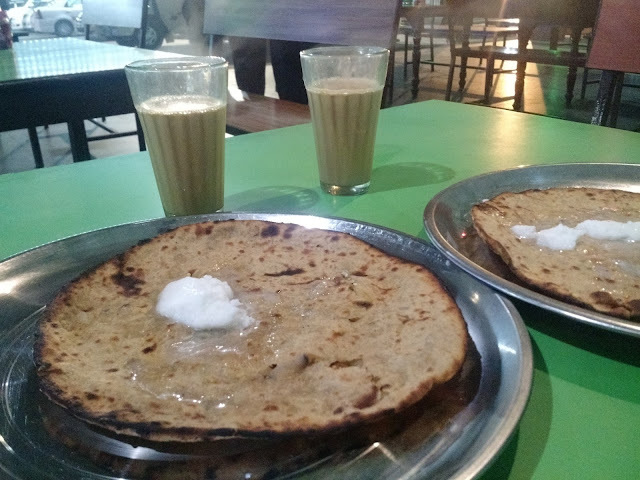 Needless to mention the wow-someness of paranthas served with white butter. Two glasses of tea worked like desserts. (Diabetics please avoid tea here). We filled ourselves to heart’s content (rather tummy’s content) and resumed with the road trip. It started getting foggy and we slowed down for quite a long stretch, which made our journey unnecessarily longer. (In winters avoid driving. Hop in a Volvo instead). 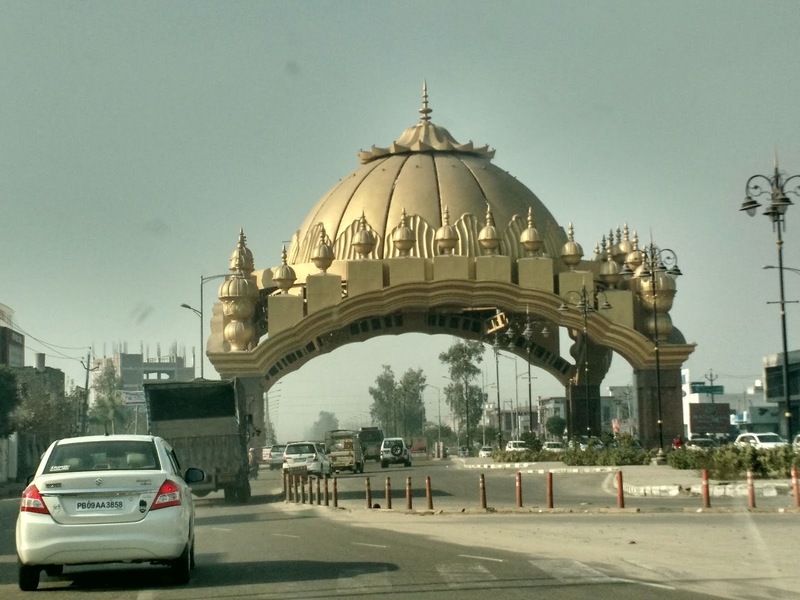 We crossed 5 tolls and spent Rs 638 in all for both sides. (So much for a road trip. Phew!) Highway is smooth but road construction in few places made the ride bumpy and slow. You can expect such erections and diverted traffic at any time of the year. Apart from few places and diversions, rest of our ride was even. 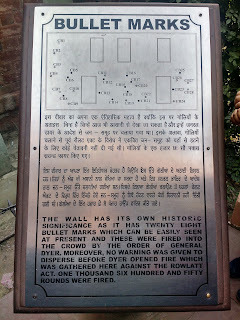 A non-stop drive by enthusiastic husband brought us to Amritsar by 2:30pm and we checked into Hotel Pegaam by 3 pm. Without wasting much time, we rushed to Makhan Singh Restaurant on Majitha road for lunch, which was nearly 4 km from hotel. A late lunch and long dive had left us tired. 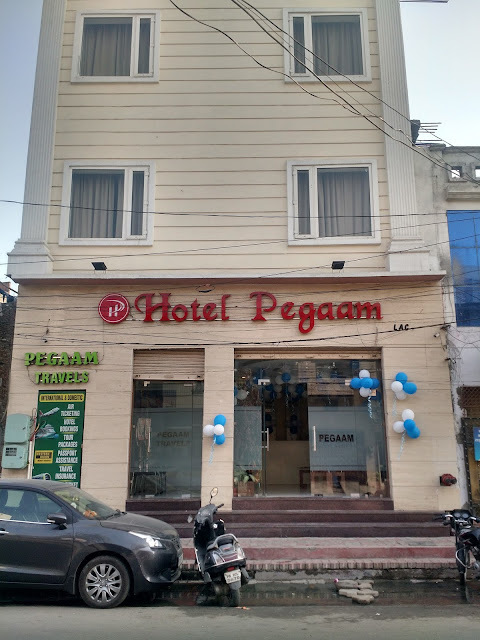 We returned to Pegaam, unpacked and crashed at 7 pm to wake up next day at 6am. Pegaam’s restaurant service starts at 8 am, so we walked down to the main junction, 500 meters away, and had tea at the tiny road side tea stall. A steamy cup on a cold winter morning felt heavenly. 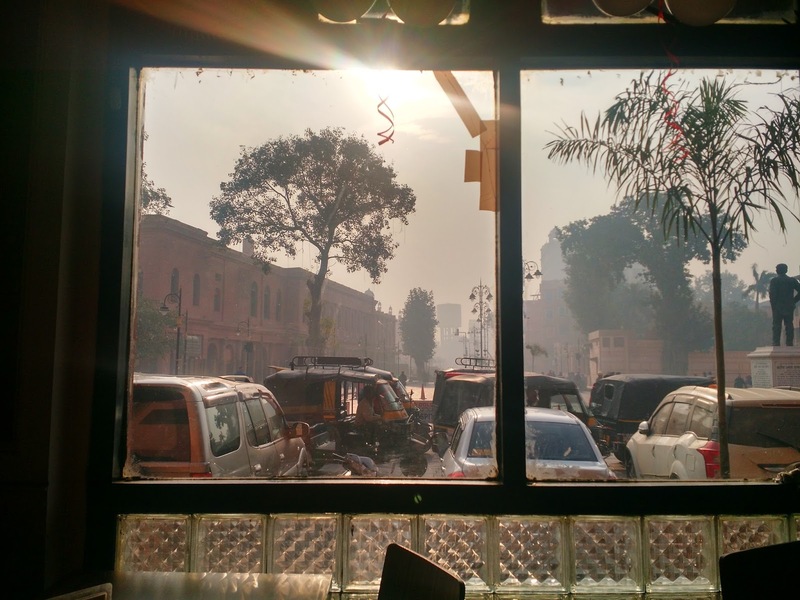 Rickshaw wallas, auto drivers, early risers and us, all had tea outside the same shop. Clearly, tea can create good bond without the boundaries of caste, religion, money or culture. Soon post freshening up at Pegaam, we left at 8am for an action packed day. 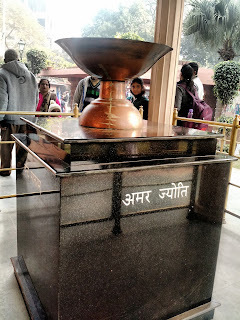 (Husband’s priority was Wagah Border). 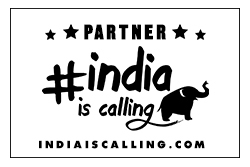 We preferred hiring a rickshaw instead of an auto, as that helps you explore the city well. 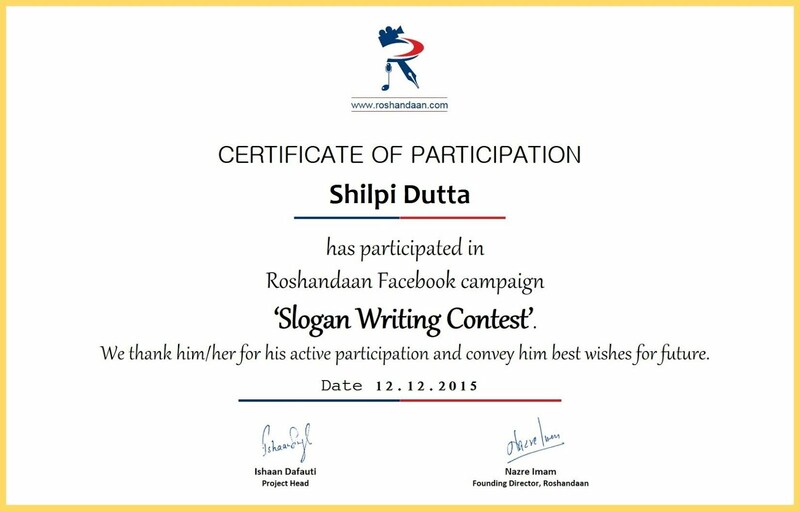 Rickshaw ride costed us Rs. 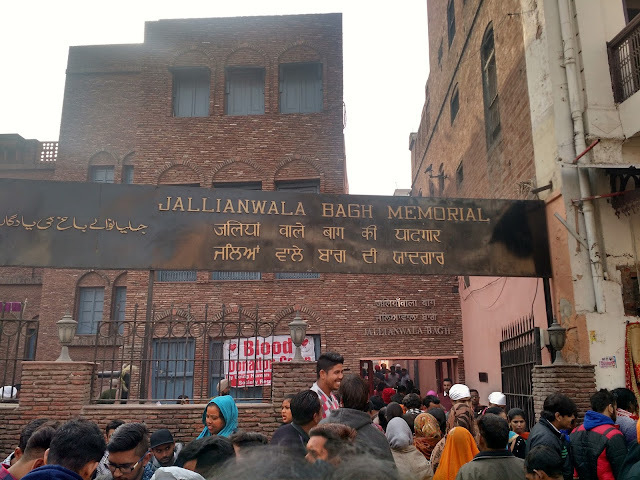 50 from Hotel Pegaam to Jallianwala Bagh premises. The moment we stepped out of the ricky, hunger bells rang. 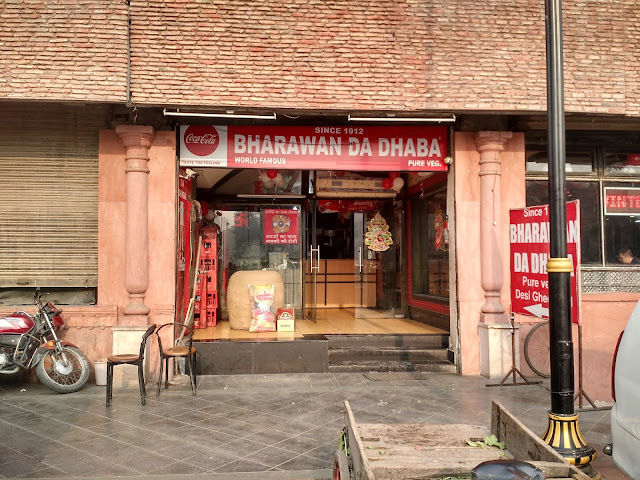 We choose Bharawan ka dhaba for breakfast. The board read “SINCE 1912” and I knew the food would be authentic. Well, they exceeded my expectations. 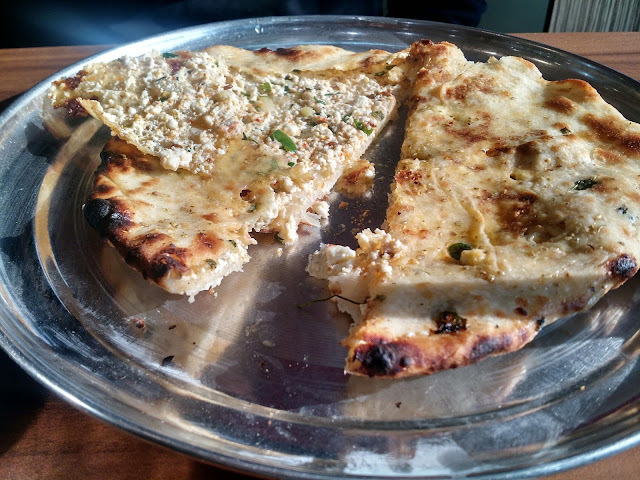 The first bite of aloo parantha was beyond expression. True bliss I must say. 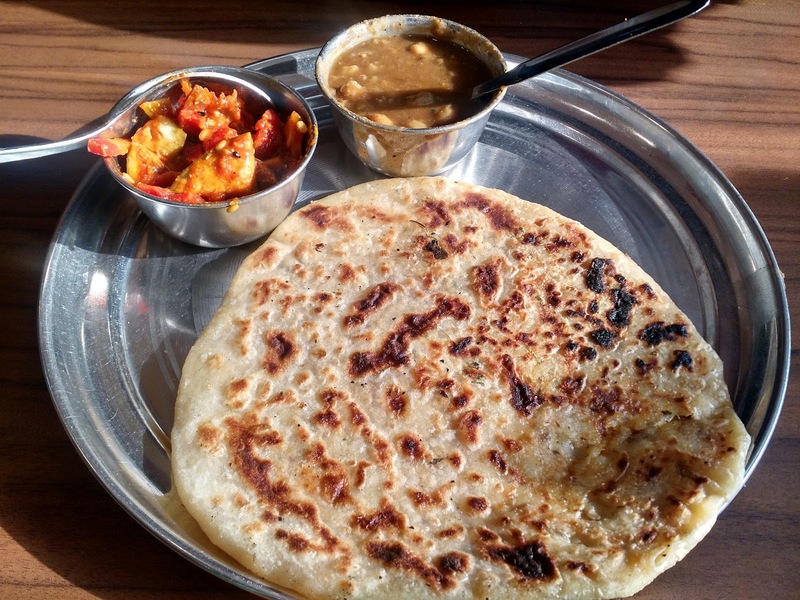 Next on our plate was paneer stuffed special Amritsari kulcha with choley (chickpea) curry. It turned out the BEST breakfast ever! Fresh, hot, loaded with white butter, and balanced spices, we could not ask for anything more heavenly. 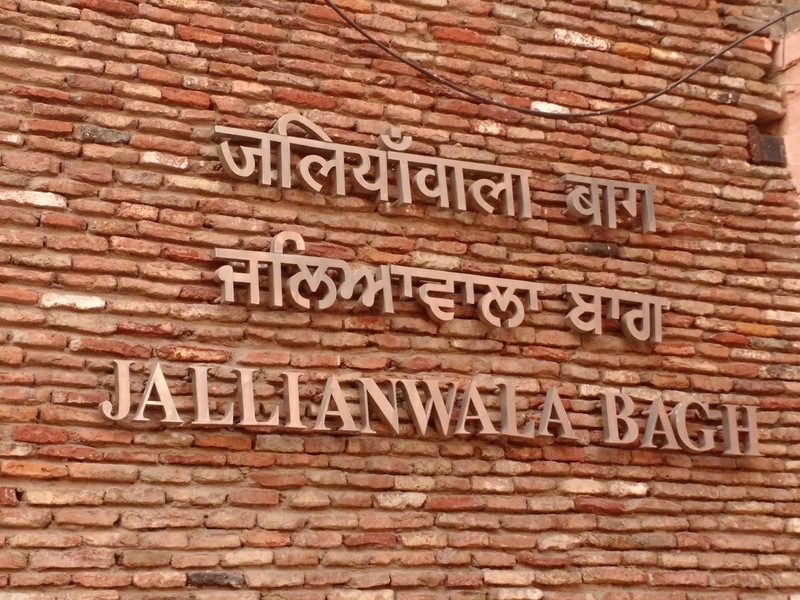 Breakfast was followed by visit to Jallianwala Wala Bagh. 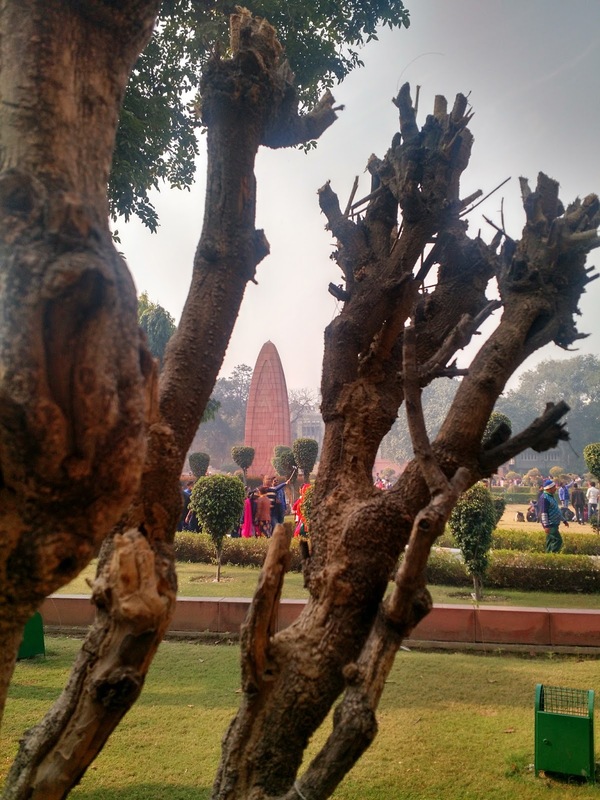 This is public garden (in)famous for brutal massacre by British Army’s Gen. Dyer on 19 April 1919. 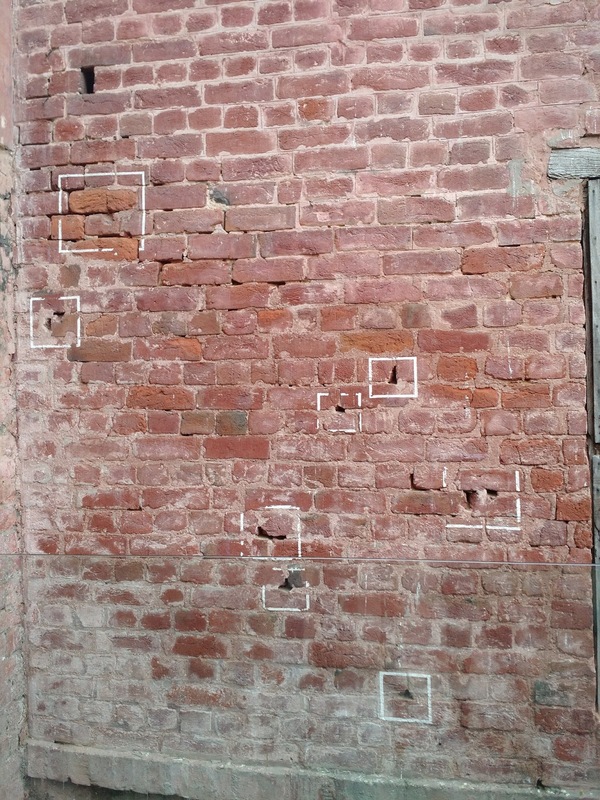 He had ordered mass shooting where people had gathered for Baisakhi celebration and peaceful protest against arrest of two national leaders. 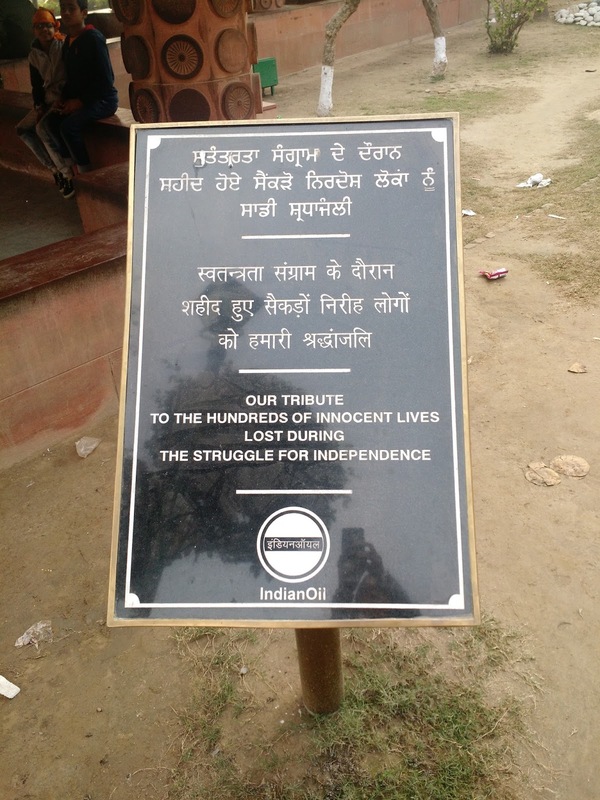 Thousands of innocent people lost their lives and the gruesome bloodbath had sent a shock-wave across the nation. Dyer’s act was condemned and he was removed from the British Army command. 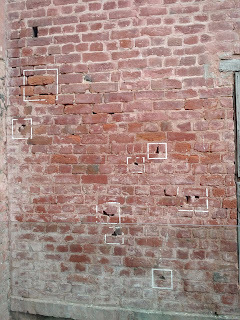 The bullet marks remain on the walls of the garden and a memorial dedicated to the deceased has been constructed. In-fact lot of artefacts have been constructed with the Bagh off-late. The premises of Golden Temple has got a nice face-lift recently. With newly constructed roads and organized shops, it is a pleasant experience to roam around. 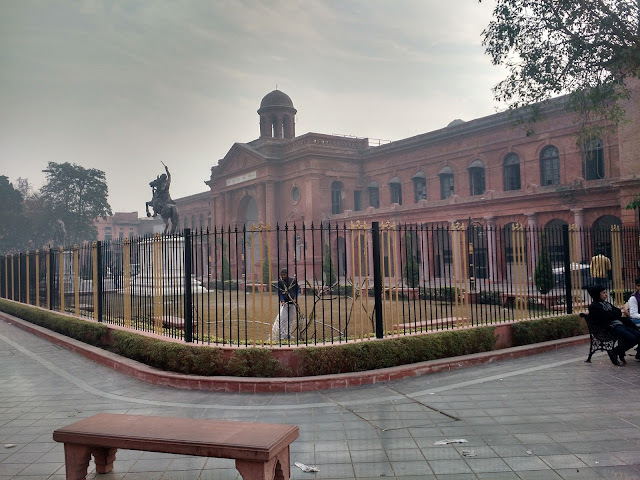 E-rickshaw facility has also started, to curb pollution. 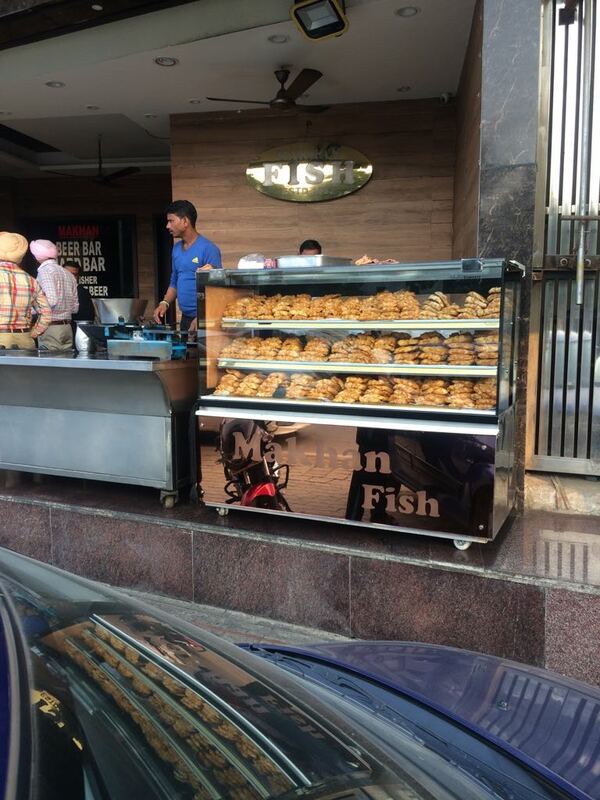 You know you are in the Amritsar when modern blends with tradition. 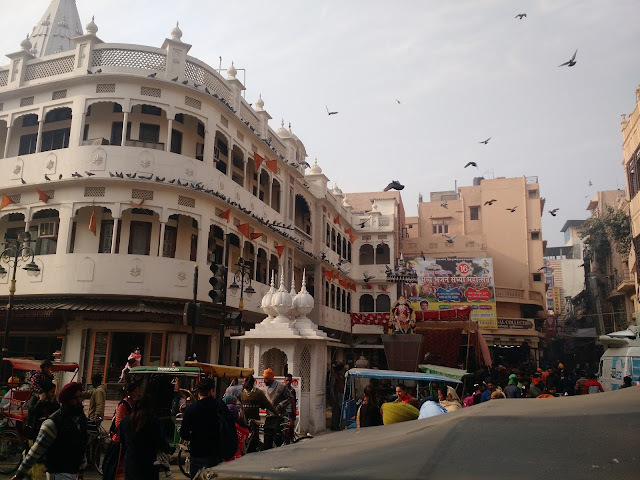 The well managed crowd, neat lanes and colorful shops add to your belief. It feels homely and warm. 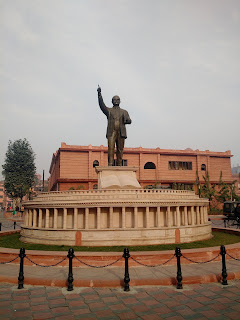 Impulsive hogging and lots of window shopping occupied most of our time during the day and we headed for Wagah Border ceremony at 12.30 pm as our pass was waiting at the check post. 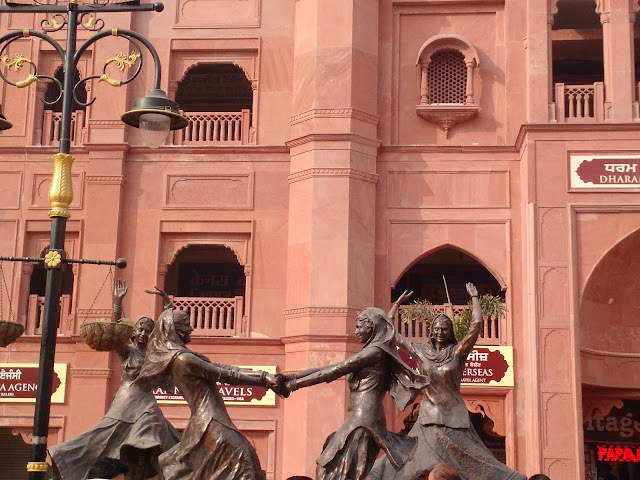 What followed was a thrilling adventure and adrenaline rush at Wagah Border. Read the post on Wagah Border Beating Retreat Ceremony here. . Though I met the 2017 reading challenge, the books that I read were little disappointing. 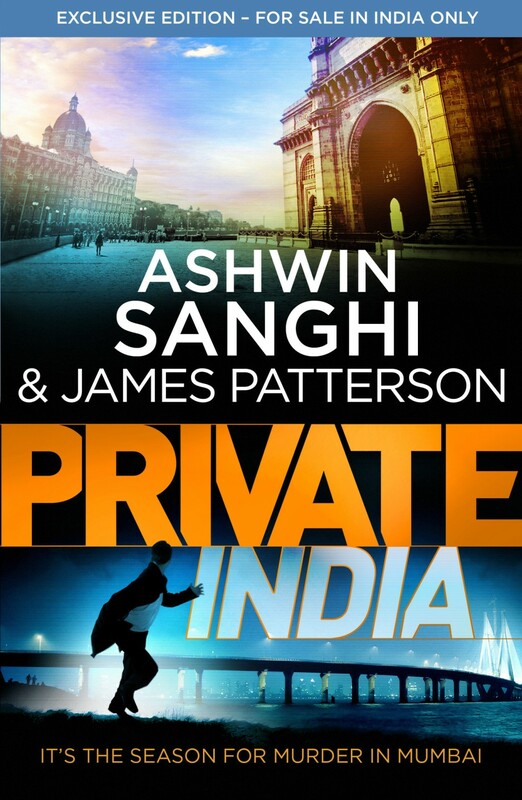 Starting with James Patterson & Ashwin Sanghi's Private India, it was below average. It was poorly thought of plot that resembled some B grade movie. 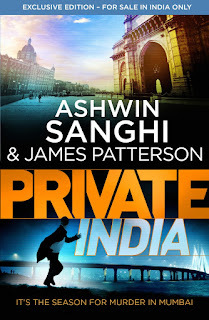 Where was the research and excitement which usually Ashwin's brings in his novels? Equally disappointing was The Krishna Key. It started on a good note, built the story, characters were strong but got sloppy as the story ended. Climax was dead. Not done Ashwin. I had high hopes from both the books since I adore your work. Next disappointment was Binodini which is a product of Gurudev Tagore. I got my hands on the translated version randomly in a bookstore at a metro station. Oh boy, this was the most irritating book that I read. 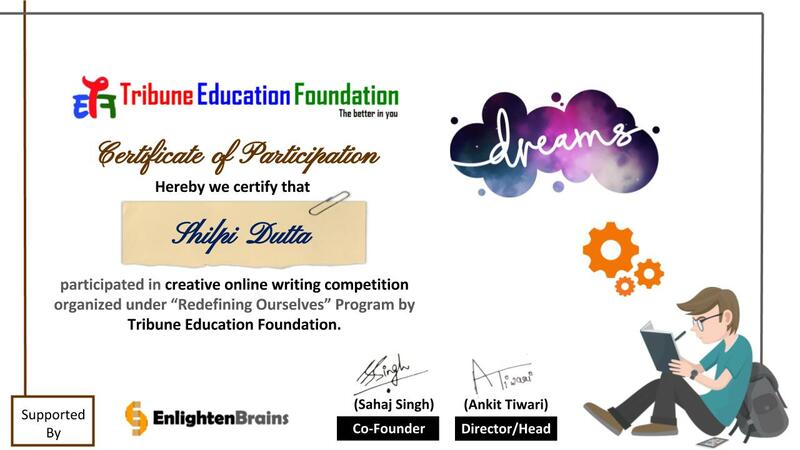 With due respect to Tagore, the Bengali version I am sure would be good, since it won several accolades. I guess the essence was lost in translation. Binodini was poorly translated which least captivated. Widow-remarriage, plight of a married lady, extra marital affair, a devastated mother, friendship, romance and all emotions fell apart with an extremely bad translation. 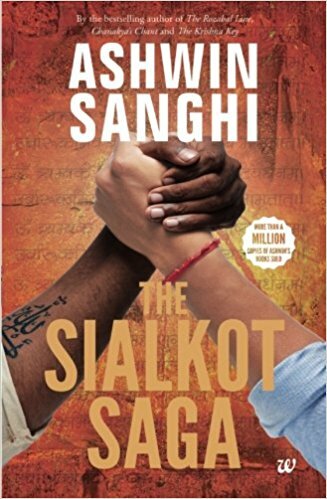 The books which held me till the end were The Lowland and The Sialkot Saga, not because they are my favourite authors but because the books had the essence of what the authors are good at. 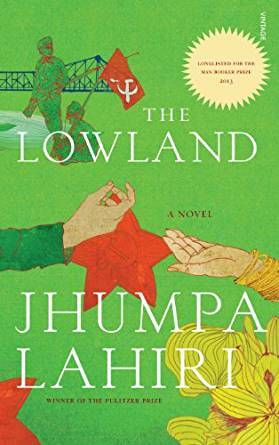 Tugging at emotions (Jhumpa Lahiri) and well-paced plot backed by superb research (Ashwin Sanghi) made the books to my top list of reads in 2017. 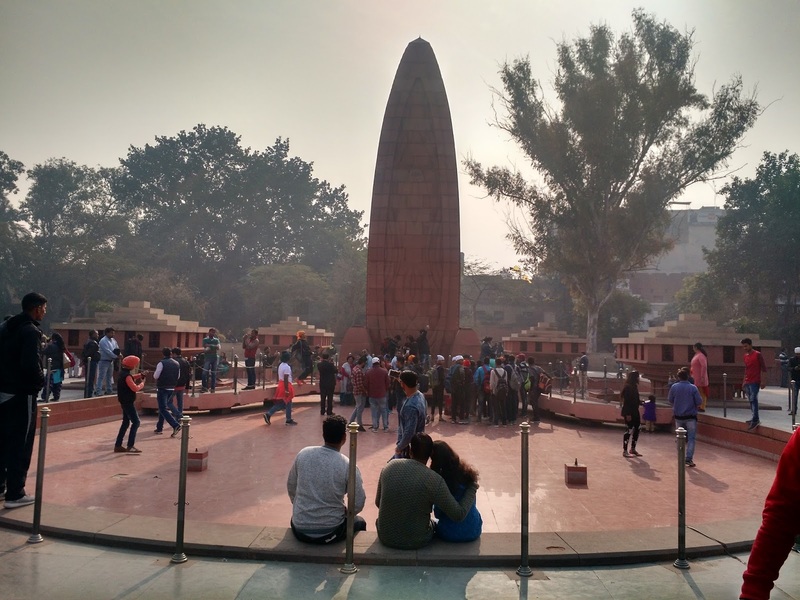 While The Lowland was about two brothers one of whom chose to be a Naxalite, leaving his pregnant wife alone to the mercy of the cruel world. The elder brother comes to her rescue and marries her, against his parents' wish. The plot moves to Rhode Island is the U.S where they live as a married couple but never attached to each other. 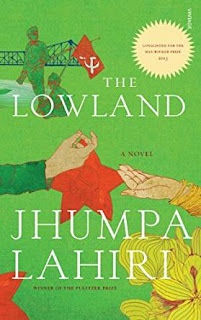 Desolate, hopelessly in love and complicated relationships- Jhumpa excels at writing on these. The Sialkot Saga is a story woven pre-partition where two young boys separated in communal clash, are adopted by different families and grow up to be professional rivals to each other. 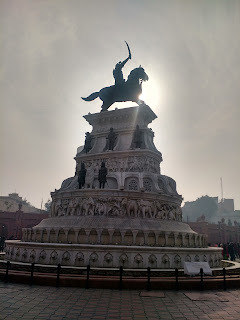 Characters in different states of the country, imparts the feel of two different stories being narrated simultaneously until destiny brings them face to face for a never ending battle. 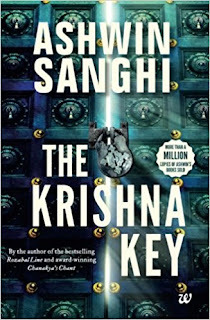 This book is typical of Ashwin's style which I thoroughly loved. 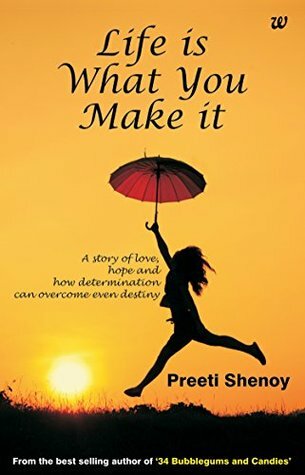 Preeti Shenoy's Life is What You Make It got the 3rd place in my "good reads". A very good story indeed. I was impressed by the way Shenoy researched, brought in the angle of teen age love, career ambitions, clinical depression and seamlessly added conviction to the story. The characters seem real and every young person would be able to connect to this book. I want to read more of Shenoy’s work now. 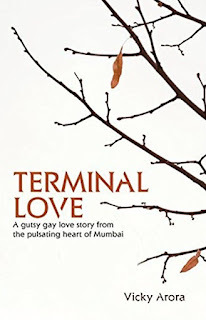 Terminal Love was an experiment. 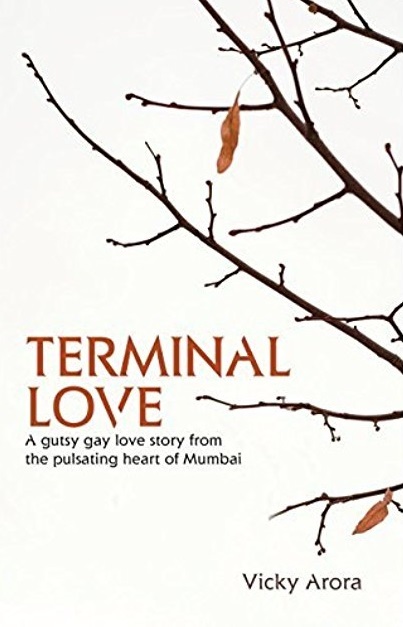 New author Vicky Arora tried touching upon the unusual story of gay love. The plot was well-thought of, but lacked expression. The story has the power to make you cry in the end, but this is one of the books which does not leave you "feeling good". Depressing climax but a good attempt at first novel. 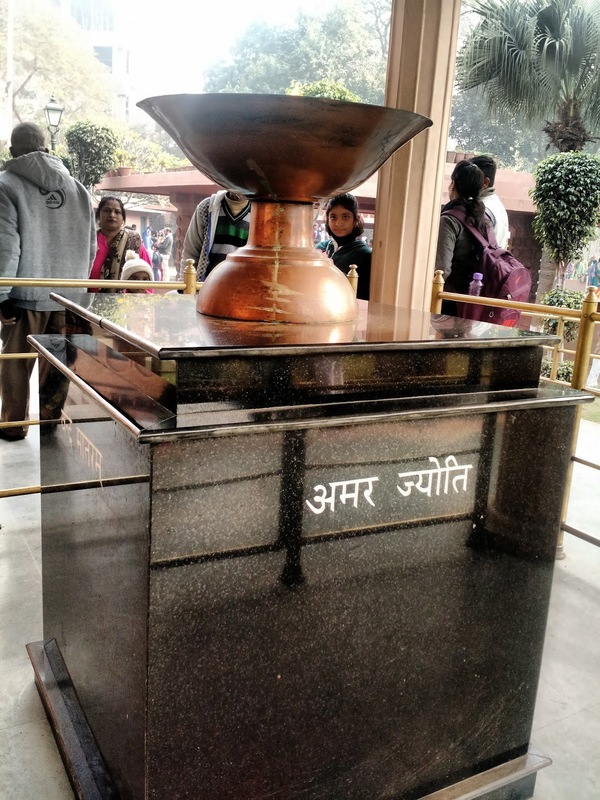 It takes guts to write on a bold topic and Arora partially succeeded. Only the plot needed to be a little stronger. Potpourri by Ruskin Bond is a collection of short stories and each story left me with a smile on my face. I guess that's emblematic of an incredible author. Stories are of different genres and give moral learning too. Short and sweet. 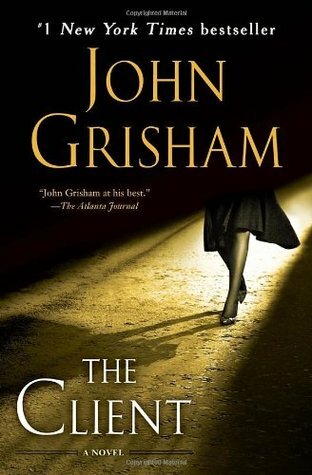 John Grisham's The Client has a unique plot but do not expect more than court room spectacle and lawyer turning into detective. The all's-well-that-ends-well plot has plenty of drama, action, violence and of course law theories. This book as better than his The Testament. 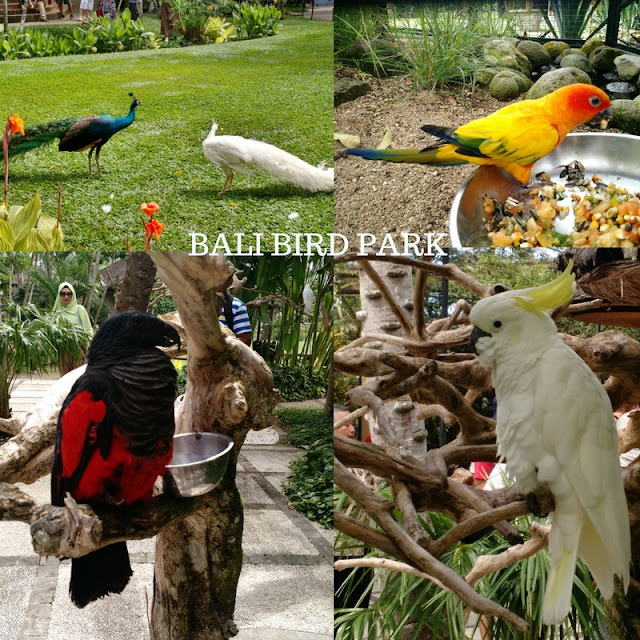 Trip to the Paradise Island Bali isn’t complete without a visit to Nusa Dua. Located in the southern part of the island, the quaint pristine beaches of Nusa Dua is popular as a surfing destination. Even if water sports do not interest you, the place has a lot more to offer. Here is a virtual tour of the luxurious Nusa Dua through my blog post. Needless to mention, the white sparkling stretch of Nusa Dua beach is the most popular attraction of the place. This beach is a poplar picnic spot for families and kids. Surfers of all age have blast here. The water literally is dotted with sails and surfing boards, as the pristine white sand shines in full glory. You can sit under a tree and relax. Sun, sand and a fruit mocktail in Nusa Dua would be the best way to holiday here. Different stretches of the beach have variety of scenic beauty. The other side of the beach has rocky beach with limestone cliffs, which make perfect photo opportunity props. Spending half a day at this beach would be a great idea for your Bali itinerary. 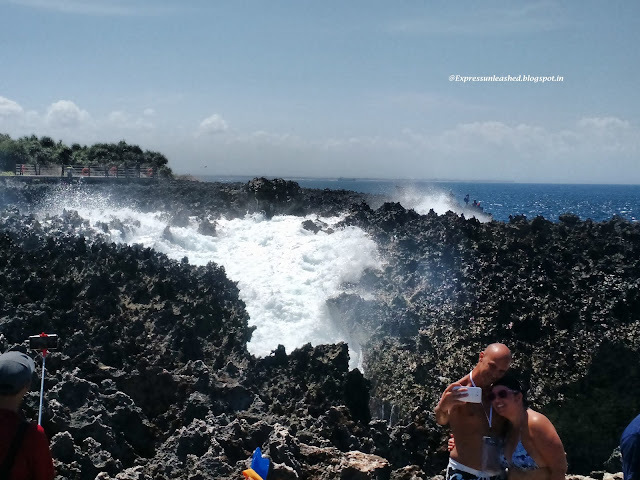 Location- Southern point of Bali. 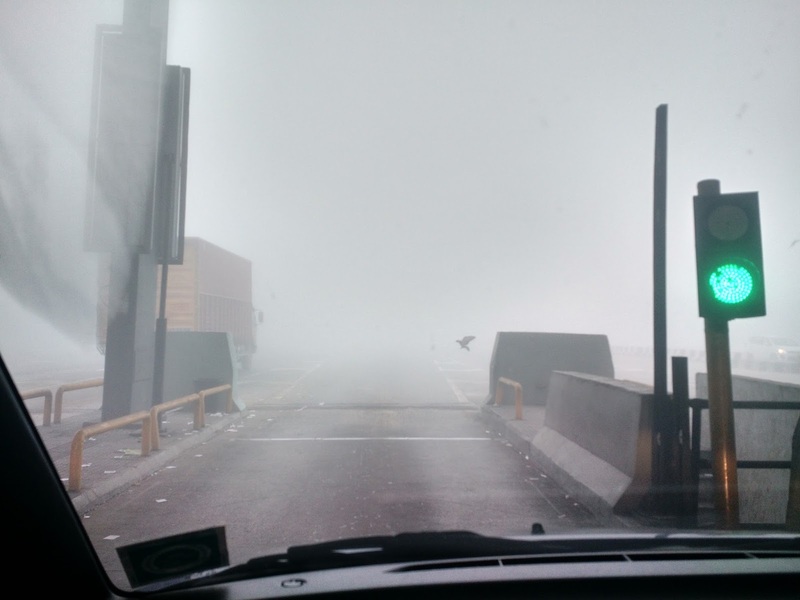 You’d pay toll on the way to enter Nusa Dua. Attention art lovers and history enthusiasts. Who would have thought that a place like Bali has something serious and immense like this museum? 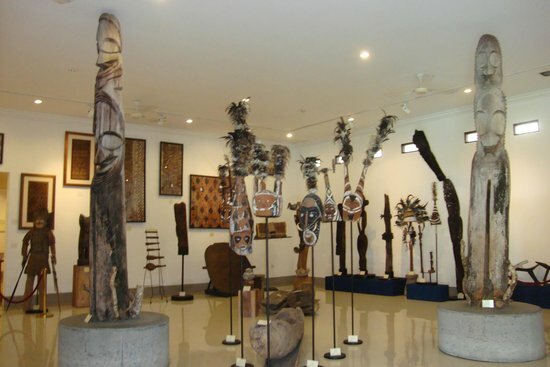 The museum has works of art, culture and heritage of Indonesia and Asia Pacific region. 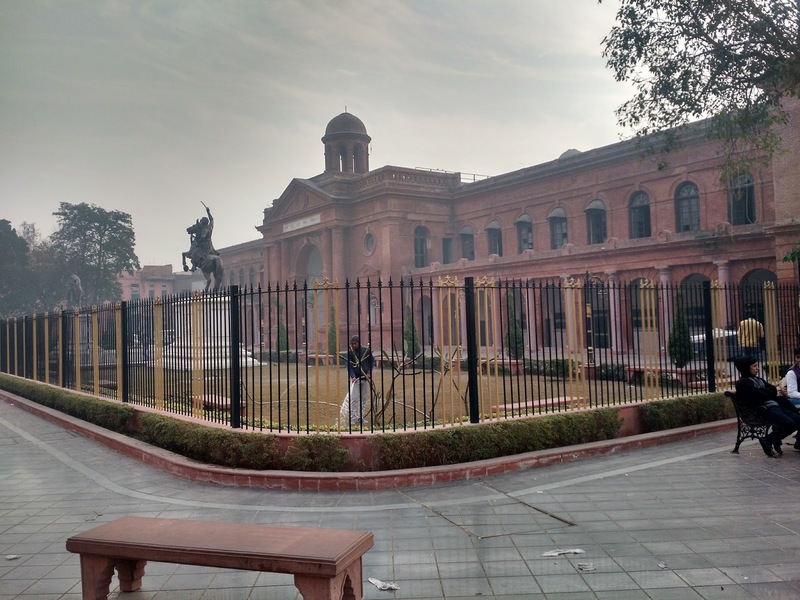 200 Eminent artists and cultural artefacts from 25 countries have found a prominent place here in the huge space divided into 11 galleries. Cameras are allowed in collection galleries. Flash or tripod is prohibited and video-taping is limited to the lobby area. 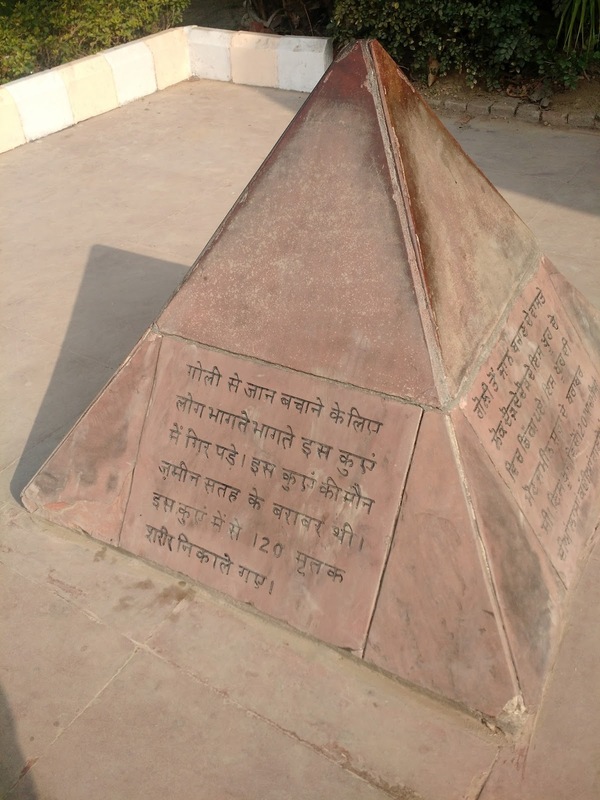 The museum is a great learning place for children, and is wheelchair friendly as well. You can spend a good 2-3 hours and imbibe a lot of knowledge. Check out the website https://www.museum-pasifika.com/ for more details. 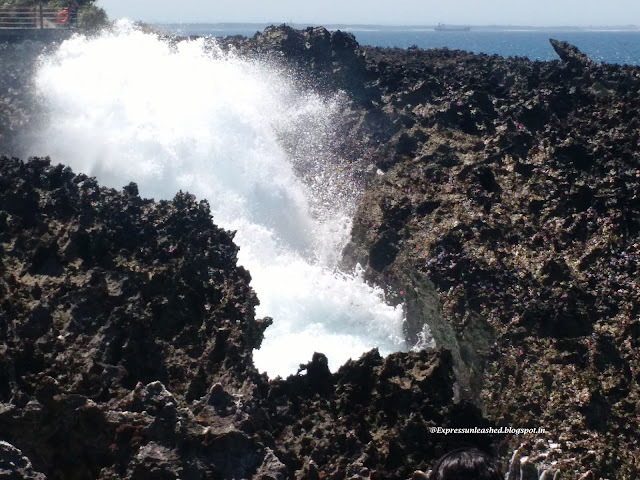 Straight from the heart of the sea, water blow, is a natural fountain that forms when the high sea waves lash the rocks. Watch the nature’s splendour in full force when the waves splash as high as 20 feet. Water Blow gets its name from the sea waves fill a rock cavity and lash with strength, hence getting its name “Water blow”. A beautiful pathway has been constructed for the tourists to walk across and enjoy the view. Tourists step down at the end of the pathway to see the waves closely and love getting drenched in the waves’ splash. You may want to check the time of high tides before visiting this place, since the crowd only starts gathering after 11 am. Even if water blow does not entice you, the breezy air, the emerald and blue shades of the ocean and gliders hovering above your head would surely hold you there. This is place to have fun just like the waves play up. Do not step on the rocky cliffs, as they tend to be slippery and the washes might sweep you away in split seconds. 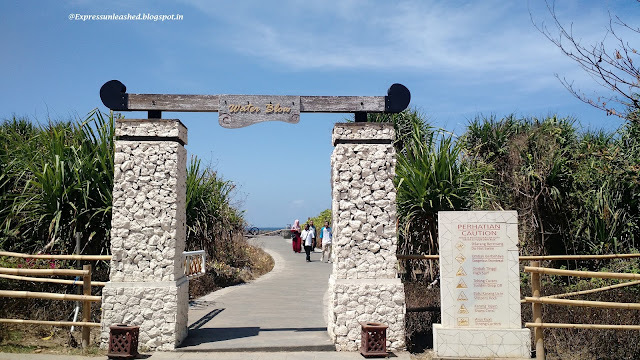 Location- Nusa Dua Beach, Few meters from the museum parking. 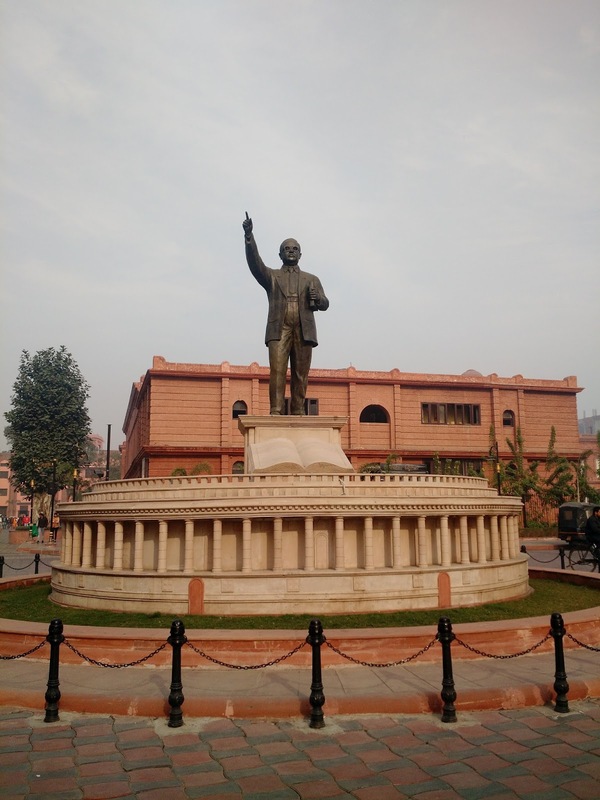 You would cross a park with statues of Krishna and Arjun. 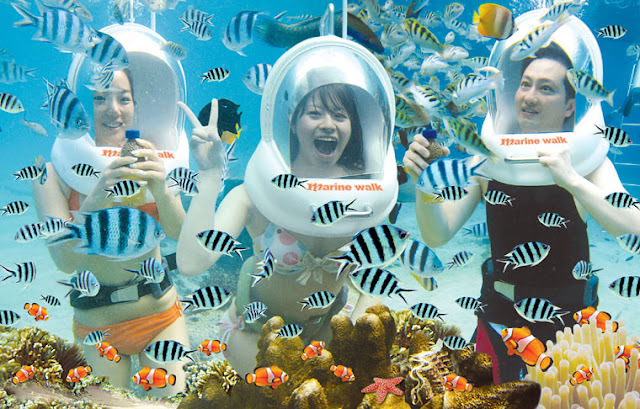 Imagine walking on the sea bed surrounded by colorful fish and gorgeous coral formations. The underwater life is the most exasperating and beautiful beyond imagination. The sea walk is one such experience which you would never forget. The walk is for everyone, including kids, even if you cannot swim. You would wear a huge helmet mask weighing around 6 kg which helps you breathe and see through the glass. Several agents and sea walker companies offer sea walk packages. You can choose from Balisuta OR Viator for packages. 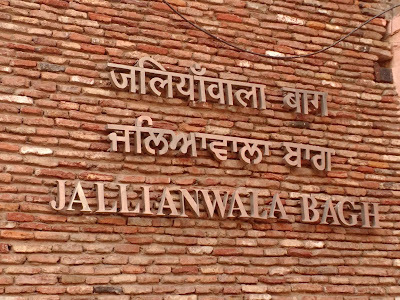 I had booked through Balisuntours. 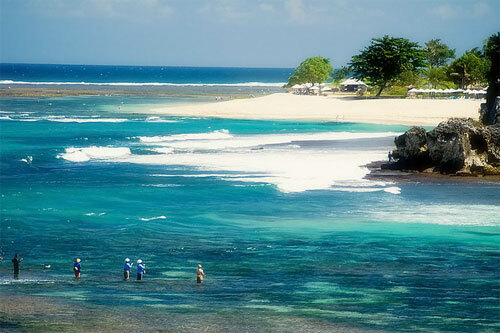 The hidden beaches in Bali are secret gems hidden gems of the Paradise Island. While there are many secret and less visited beaches in Bali, you can explore of these in Nusa Dua. Unlike the overtly crowded Kuta beach, Menigat is a quiet one with very less footfall. You can choose to relax and unwind on the sandy stretch without doing anything. If stay in hotels in this area, your view will be spectacular every day. Geger beach has rocky cliffs and clean bank with crystal blue water. You can sit under the rocks and read a book or sip a drink, while enjoying the cool breeze and exotic view. Enjoy food at reasonable price in few cafes at the beach. 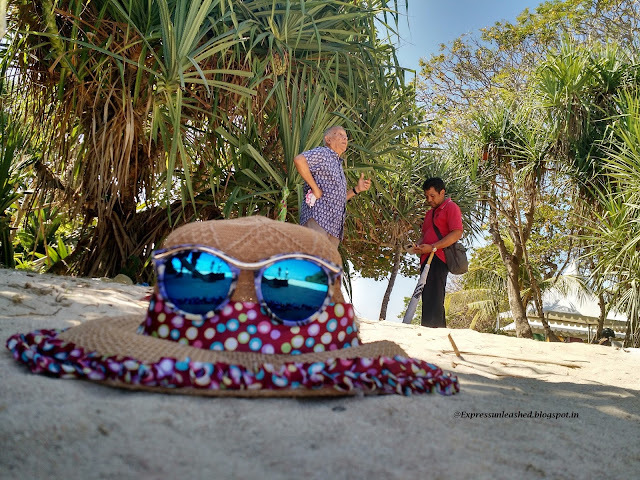 The best part of these hidden beaches- Less frequented by public, less commercialized, clean and no hawkers pushing you for souvenirs or massage package. These beaches are meant for people who want to spend peaceful “me time”. 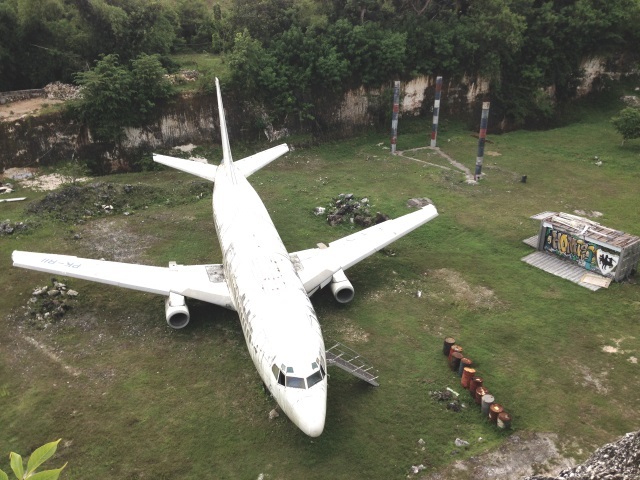 An old abandoned plane on ground in the middle of nowhere rather sounds bizarre. Don’t worry, the planes have no engines. Nobody knows where these planes came from but there are several people who claim the ownership. Rumours have done several rounds that these planes will be converted into restaurants, though nothing has been done so far. There are two of these in Nusa Dua, both of which we saw many times while passing by these areas on scooter. The planes are stationed since many years and offer opportunity for photo shoots while walking on the wings. Even Google Maps shows these planes as landmarks in Bali. Beat that! They looked eerie to me but I am sure would have been fun to go inside the “ghostly” planes. You must visit if you want to ride the wings or mount the plane’s nose without hurting/killing yourself. Location- One on Bypass Ngurah Rai, next to Dunkin Donuts and another in South Kuta, along the Jalan Nasa Dua Selatan road.